Every NHL player who has ever been traded or claimed by another team seems to have a story. Laurie Boschman is no different. Boschman, the first captain in the modern-day history of the Ottawa Senators, was told that he had been claimed by the expansion team by a customs official in Winnipeg after a connecting flight home from Minnesota. In Minnesota, he had been told by a friend that he had not been claimed by either Ottawa or the Tampa Bay Lightning in the NHL Expansion Draft. Boschman was indeed drafted by Ottawa, and would become the first captain in team history. Next month, he will be leading the Ottawa Senators Alumni team into Prescott as they take on the coaches of the South Grenville Minor Hockey Association in the second annual Leo Boivin Sens Alumni Game. The game takes place Wed., March 21, and it will kick off the festivities for the annual Leo Boivin Midget AA/AAA Hockey Showcase. "It was a tough year for us," Boschman said of the 1992-93 season. "I played in the NHL for 14 years, and being part of expansion team was difficult." Boschman was claimed off the New Jersey Devils roster. He had spent two years in New Jersey after playing in Toronto, Edmonton and Winnipeg throughout the 1980s. He had been told by Devils GM Lou Lamoriello that he would not be claimed in the draft and that the Devils wanted him back the following year. Lamoriello and Ottawa GM Mel Bridgman discussed a trade that would send Boschman back to New Jersey, but the veteran winger would stay in Ottawa and assume a leadership role for the new franchise. Boschman would prepare for going from a contender to a team that would end up winning only 10 of its 84 games. While the bad memories far outweighed the good ones from the 1992-93 season, one that stands out was the team's first ever game. The Sens would stun the eventual Stanley Cup champions, winning 5-3 at the sold out Civic Centre. "That was an incredible night," recalled Boschman. "Of all the opening nights I had in my hockey career, I had never experienced anything like that. There was a lot of excitement about the Senators returning to Ottawa. Winning that game was one of the most memorable nights of my career." If the Sens were the Cinderella Story after that first game, their team bus quickly turned back into a pumpkin after that night. They would have 20 losses and one tie in their next 21 games before recording their second win of the season, more than six games after their opening night win. "It was a long and difficult year," said Boschman. "We struggled and it was trying for us, but we had a good group of guys and we stuck together through the difficult times. We grew to have a special bond on that team because it was such a difficult year." In the final week of that season, Boschman recorded a hat trick in a win over the New York Islanders. It was their first and only road win of the season, and it broke a season-long 14-game losing streak. Boschman iced the win with an empty net goal. The team celebrated as if they had just won the Stanley Cup. "I remember yelling to my teammates, 'I'm going to Disneyland! '," he said. Four days later, he played the final game of his NHL career. Boschman opted to stay in Ottawa after retiring and became involved in the fledgling Sens Alumni organization. When Brad Marsh moved to Philadelphia in 2015, Boschman took over the role as the Sens Alumni President. "Ottawa has meant so much to me over my life as both a National Hockey League player and former player," said Boschman. "It is incredibly rewarding to have the opportunity to give back to this community." 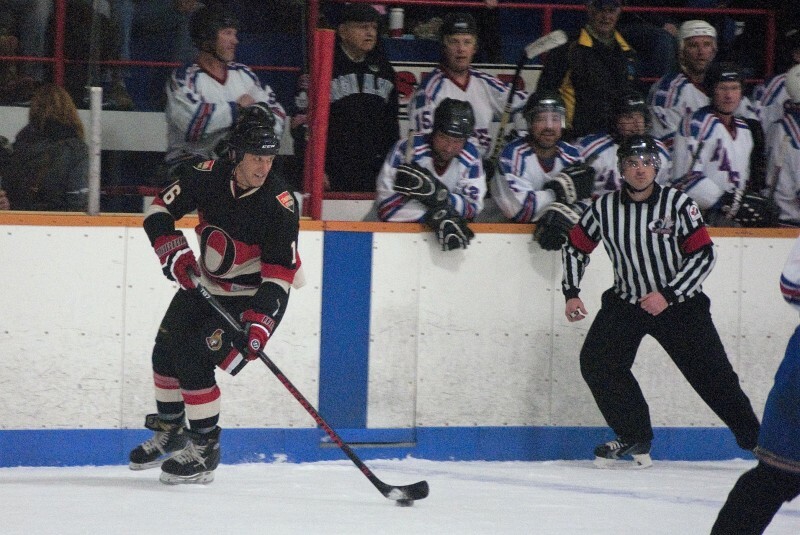 Boschman has spearheaded numerous fundraising events, and he was a driving force behind bringing the Sens Alumni team to Prescott the past few years. "The Prescott game last year was a great experience for everyone involved," Boschman said. "The crowd was great and enthusiastic, and the town brought a lot of passion and excitement to the arena, and they were incredibly welcoming to us. 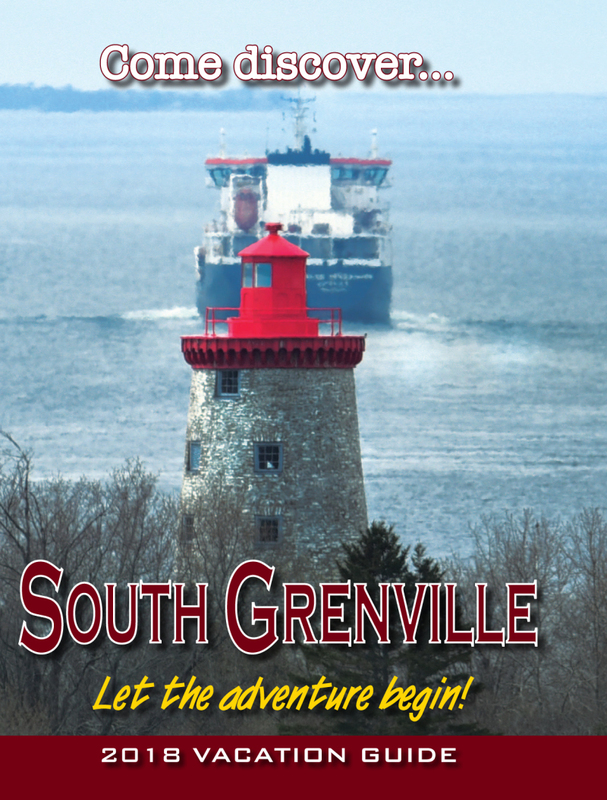 It was a fun night, and the South Grenville Minor Hockey Association did a great job organizing it. We are really looking forward to coming back this year."